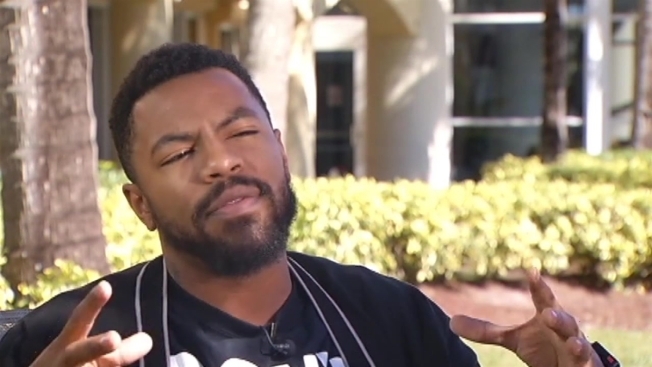 Phillip Agnew, Executive Director of the Dream Defenders spoke to NBC 6's Willard Shepard about the mission of the grassroots movement. “What we have seen is that a lot of the things fought for in generations before either needs to be fought for again or we need to fight for different things,” said Phillip Agnew, Executive Director of Dream Defenders. Agnew is a man who has a vision much like Dr. Martin Luther King, Junior’s famous “I Have A Dream” speech. Dr. King cast a hope of the things he would like to see. Dr. King’s reality though saw efforts to stop minorities from getting an education, going where they wished to eat, and violence at the hands of law enforcement. 50 years later, Agnew sees progress through Barack Obama’s presidency, but also much of what Dr. King fought for is still unchanged. “Things have not gotten better. They have actually gotten worse, but under the guise of a post racial society that things have gotten better - people are being treated better -- we have a black President, black Police Chiefs, black mayors, and black councilmen and women that things are now far better,” the 30-year old said. The activist stressed the Dream Defenders movement is needed to raise awareness. The Dream Defenders movement was founded in the aftermath of the death of Trayvon Martin. The group spent three days marching and covered 40 miles on the way to the Sanford police station. They shut the station down and 48 hours later George Zimmerman was arrested. Later, the Sanford police chief announced he would resign. In 2013, Zimmerman was found not guilty of all charges related to Martin’s death. “Without a movement like this we are going to raise a generation of children who have no hope possibility, dreams, imagination that a different world is possible,” Agnew said. What happened with Trayvon Martin wasn’t the beginning for Agnew and his efforts to fight for what he believes has to be done. He started as a student in Tallahassee at Florida A&M University and organized a student protest when a teen died inside a Florida Boot Camp that was supposed to help youngsters get back on the right track. The Dream Defenders have taken a strong stand against stand your ground laws and Agnew believes what is depicted in the recent movie Selma still exist but in a different way.